Located 5kms North West of Nagercoil Junction and 2kms off the Tirunelveli highway is the Thiruvazhmarban Divya Desam in Thiruvanparisaram (Thirupathisaram). This is one of the two Divya Desams around Nagercoil. 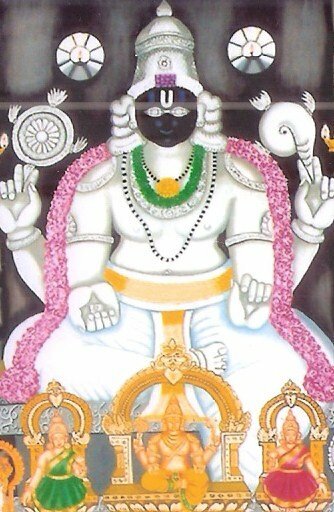 Lord Thiru Vazh Marban (ThiruKuralappan) is seen in a Easting Facing Sitting posture with four hands, a conch and chakra. Worship protocols followed here are also the same as those of Kerala. Vibheeshana, after attending the Ramar Pattabhishekam in Ayodhya, came to Srirangam where he had to let go the idol of Lord Ranganatha on the Cauvery river banks. On his way back to Lanka from Srirangam, with his thoughts centred around Rama, he is said have visited this place and offered his prayers here. When the Lord appeared before him and asked for a wish, Vibheeshana wanted to see Rama once again. It is believed that Lord Vishnu provided darshan to Vibheeshana as Rama. Hence, one finds Rama, Sita and Lakshmana to the right of the moolavar deity here. Thiruvanparisaram is the birth place of Udaya Nangai. She was married to a man from Kurugur. 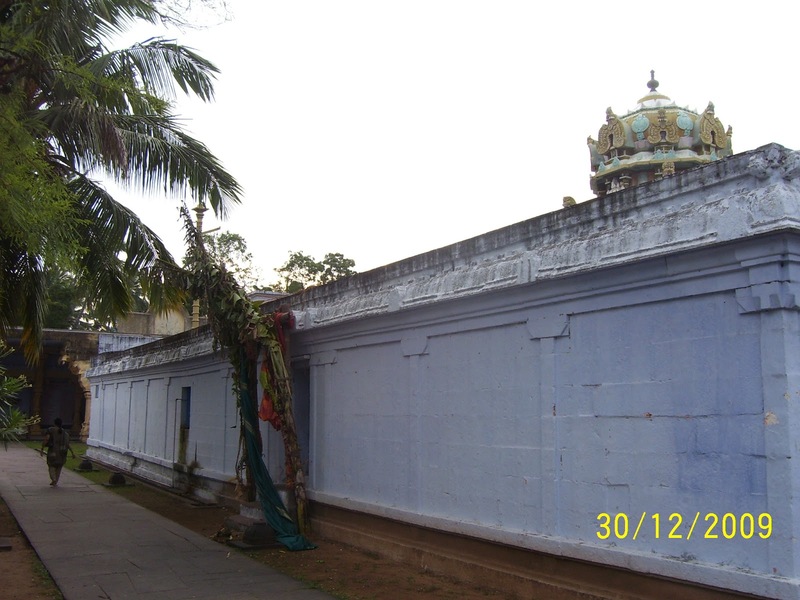 Being childless, she undertook a 41 day penance here as instructed the Thirukurungudi Lord Nambi. As a result of this penance, NammAzhvaar was born to them. However, immediately after his birth, he sat under the Tamarind tree in (Azhvaar)Tirunagari and remained speechless for several years. Wanting the darshan of Lord Vishnu, Saptha Rishis undertook penance near Suchindram. They were re-directed to undertake further penance about 10kms North West of Suchindram. 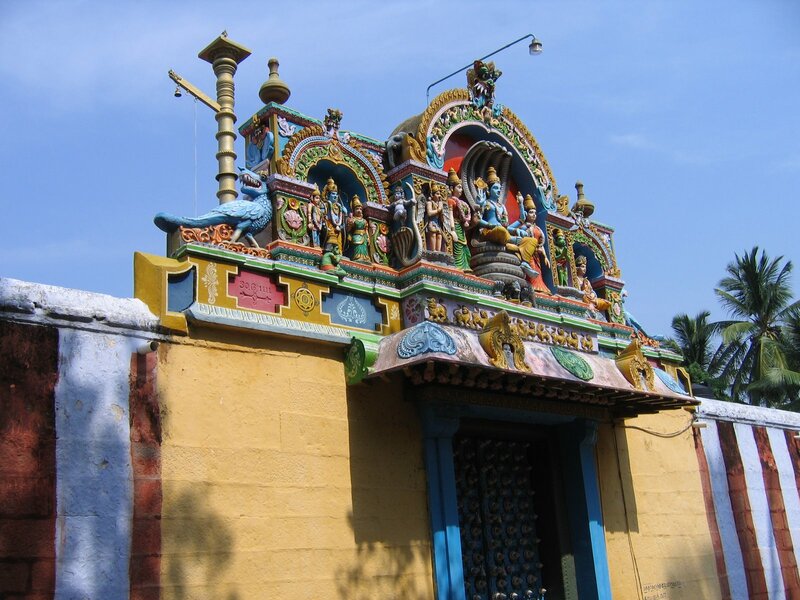 It is believed that Lord Vishnu provided darshan to these seven rishis at Thiruvanparisaram. After the killing of Asura Hiranyan, Lord Narasimha was in an angry mood. Lakshmi is said to have undertaken penance here to cool down the Lord. As per the request of Prahalad, Lord came here searching for Lakshmi. Happy to find her Lord again and in a cool form as a Shantha Swaroopi, Lakshmi is said to have requested the Lord to provide her a place in his heart which the Lord readily accepted. 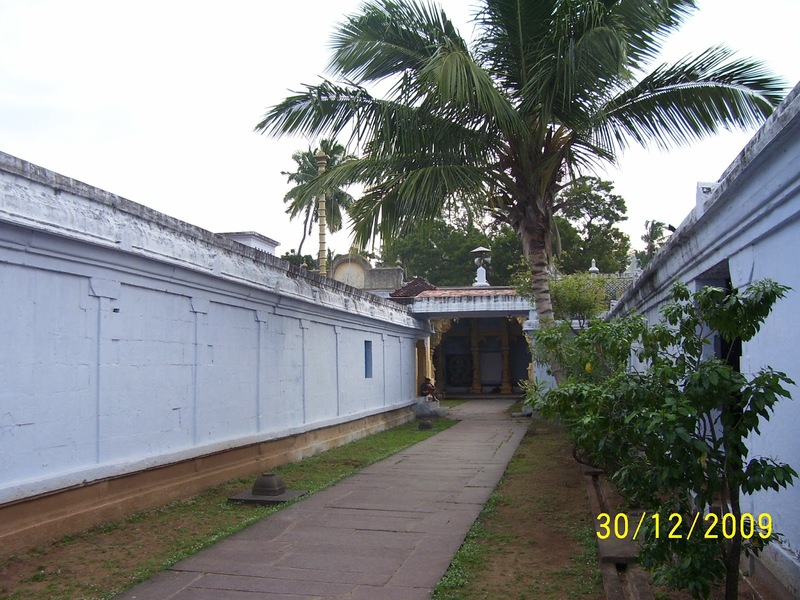 As Lakshmi resides in the chest of the Lord at this temple, he came to be called Thiru Vazh Marban. Acceding to the request of Anjaneya, Sage Agasthya is said to have presented the entire story of Ramayana at this place for the benefit of the devotees. In memory of this event, one sees Anjaneya with folded hands addressing Sage Agasthya, who is in a seated posture opposite him. Also, seen in this sannidhi are Lankan King Vibheeshana and Kulasekara Azhvaar. 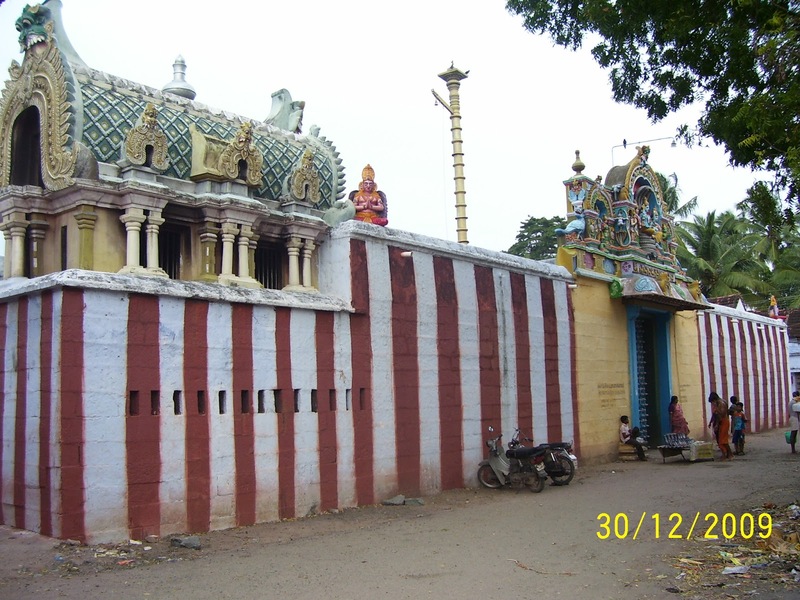 NammAzhvaar, who was born after the 41 day penance of his mother at this place, is seen as a small child at this temple, to the left of Thiruvazhmarban. This is a special feature at this Divya Desam. Festivals: Kerala Tantram is the worship protocol followed here. Five services are offered each day. The annual Bhramotsavam is celebrated in the month of Chittirai. 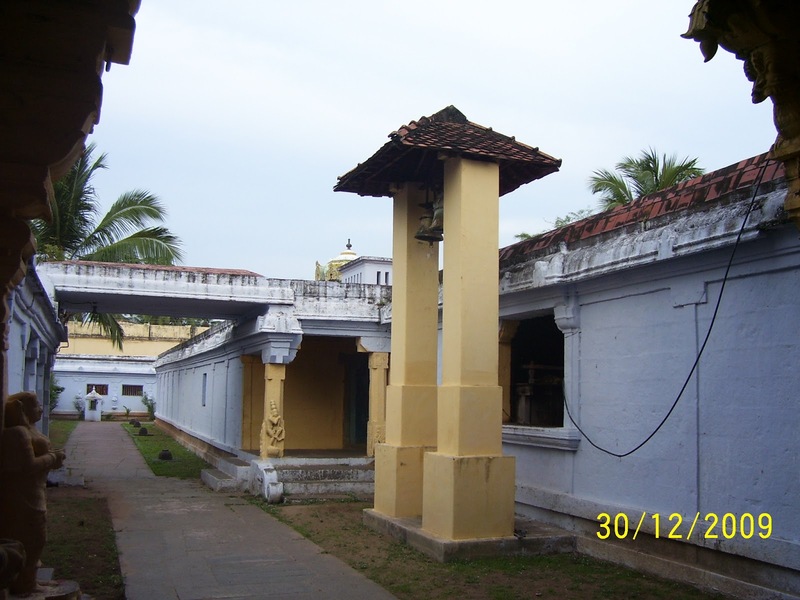 Krishna Jayanthi, Saturdays in the month of Purattasi are considered sacred here. Vaikuntha Ekadasi and Aadi Swathi (associated with Kulasekhara Alwar) are also celebrated here. The temple is open from 04:00 a.m. to 10:30 a.m. and from 05:30 p.m. to 07:30 p.m. 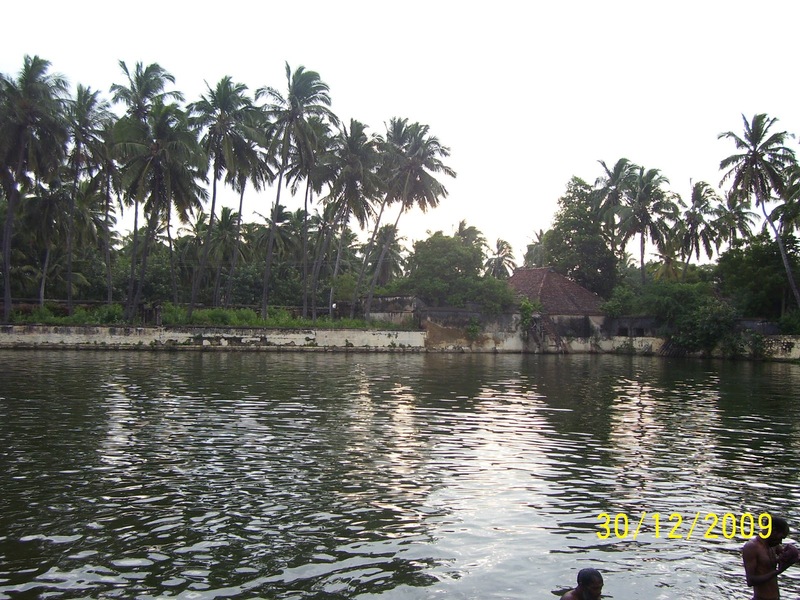 This Divyadesam, Thiruvanparisaram is also known as "Thirupathisaram" and lies around 3 miles away from Nagarkoil. Local town buses ply from Nagercoil (Anna) bus stand to Thirupathisaram.